Marvel vs. Capcom: Infinite has been criticized for the large number of familiar faces included in its initial 30-character roster, but the game is about to freshen things up with an infusion of first-time fighters. 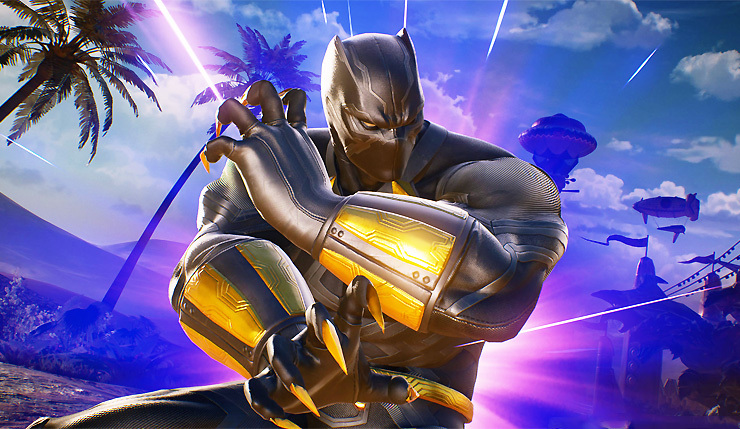 This month MvC: Infinite will be adding Black Panther, Sigma, and Monster Hunter, all of which are new to the series. You can check out Black Panther and Sigma in action in a new trailer, below. Capcom previously released a trailer for their new female Monster Hunter fighter. In his review, Dave found Marvel vs. Capcom: Infinite to be a solid, but restrained fighter. Hopefully, Black Panther and Sigma can shake things up a bit. Marvel vs. Capcom Infinite is a hard one to pin down. In a lot of ways, it’s the return of the Marvel franchise we all know and love, but on the other hand, it feels like too much has been stripped away. It feels almost as if it’s heading slowly towards this homogeneous fighting game archetype, instead of being its own unique beast. Black Panther, Sigma, and Monster Hunter will be available on October 17 for $8 each, or as part of the $30 Marvel vs. Capcom: Infinite 2017 Character Pass. Capcom have announced Winter Soldier, Black Widow, and Venom will be released later this year. Excited for Black Panther, Sigma, and Monster Hunter? Or does Capcom have to do more to impress you?